The keyword in the title is JOYFUL. What mother doesn't hope to provide more joy within their home? Each of these 40 devotions challenge us mothers towards living a more joyful life. The author digs deep. Causing you, on day one, to look at yourself. At who you are. So often we are so focused on our kids, our family, that taking the time to stop, and focus on ourselves, not in a selfish way but in a way that God can minister to us. Each devotion begins with a scripture. The author then expounds on the scripture leaving us with challenging thoughts or ideas and then concludes with a prayer. are seemingly hand drawn which definitely gives this book it's character! Color while you rehearse the scripture or pray about what the Lord wants to speak to you that day. Overall I find this book to be just what the doctor ordered for many mothers. 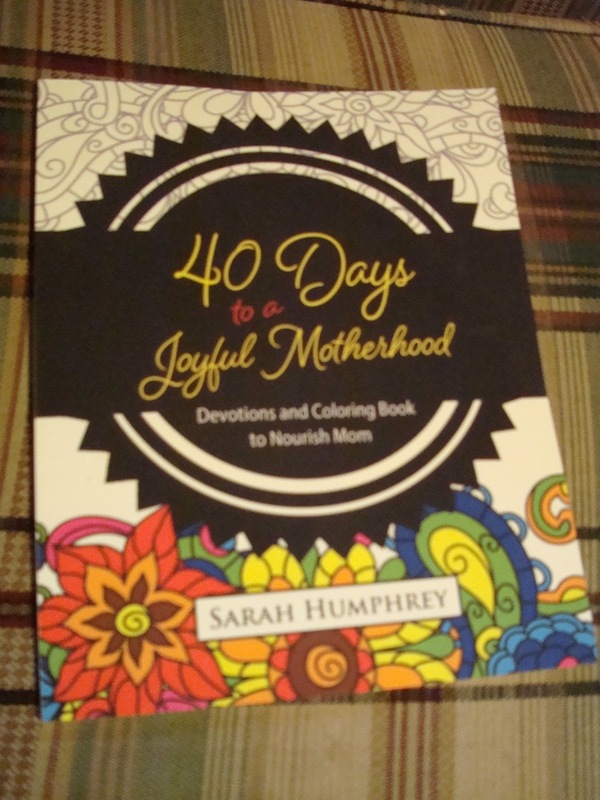 It would make a great gift for yourself or any mother wanting to rekindle the joy in her life. Disclaimer: This post is brought to you by Litfuse. All opinions expressed here are my own.